CNN has announced their plans to make a documentary about the life of Anthony Bourdain. The network aims to make "the definitive Bourdain feature documentary," and hopes to have it done in time for a possible release next year. 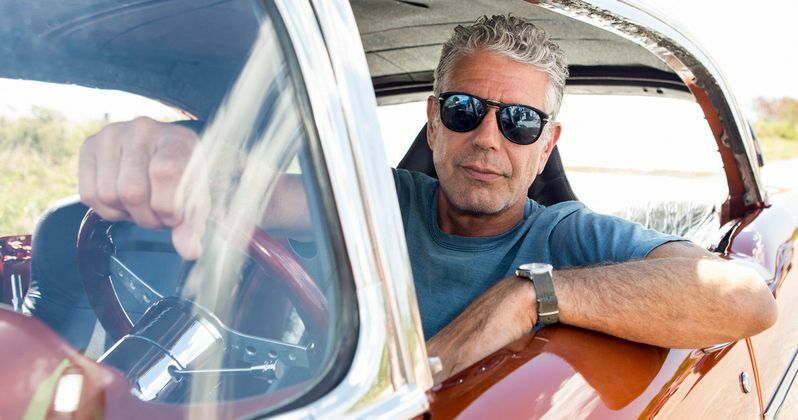 Bourdain hosted his Parts Unknown series on the network, which was an extension to his work on No Reservations, his previous show that aired on the Travel Channel. Two months after his death, Bourdain fans, who felt like they knew him, are still trying to come to grips with his suicide. CNN realizes that there is still many who want to learn more about the man, which they hope to accomplish in their new documentary while paying tribute and honoring Bourdain. In a new interview, Amy Entelis, a vice president for CNN revealed the plans to make the Anthony Bourdain documentary. Bourdain played the role of everybody's cool best friend that seemed to have everything figured out. He visited countries to learn about new cultures in an effort to get out of his comfort zone and educate his fans. When talking about the documentary, Entelis had this to say. "As well as we knew Tony, because he did reveal himself in the series, there was still a hunger to know more about him, and to honor his work and celebrate him. The documentary format became one of the more obvious ways to go." CNN and Anthony Bourdain: Parts Unknown production company Zero Point Zero are in the very early stages of putting together the Anthony Bourdain feature documentary. The network hopes to have it ready for the festival circuit early next year. While it may seem that CNN is speeding to get the documentary completed, Amy Entelis reveals that they're going to take their time to make it right. She explains. "We want to make it perfect. We want to make it exquisite for Tony. We want to do him justice." Anthony Bourdain was found dead in his hotel in France back in June of this year. Bourdain was working on an upcoming episode of Parts Unknown and was found unresponsive by his good friend and French chef Eric Ripert. Since then, fans have been trying to learn more about the man who put so much of himself out into the world and became instant friends with fans who never even met him. Bourdain's fans followed him tell amazing stories and watched as he created new stories with every new person and culture that he came into contact with. CNN will air the last episodes of Parts Unknown this fall, while work on the documentary has already begun. Anthony Bourdain touched a lot lives, so one can imagine there's going to be a lot of interviews conducted throughout the coming months in an effort to pay tribute to the chef/writer/host/friend. Hopefully CNN is able to accomplish their goal in making the perfect documentary for Bourdain. You can read the rest of the interview with Amy Entelis at Vanity Fair.